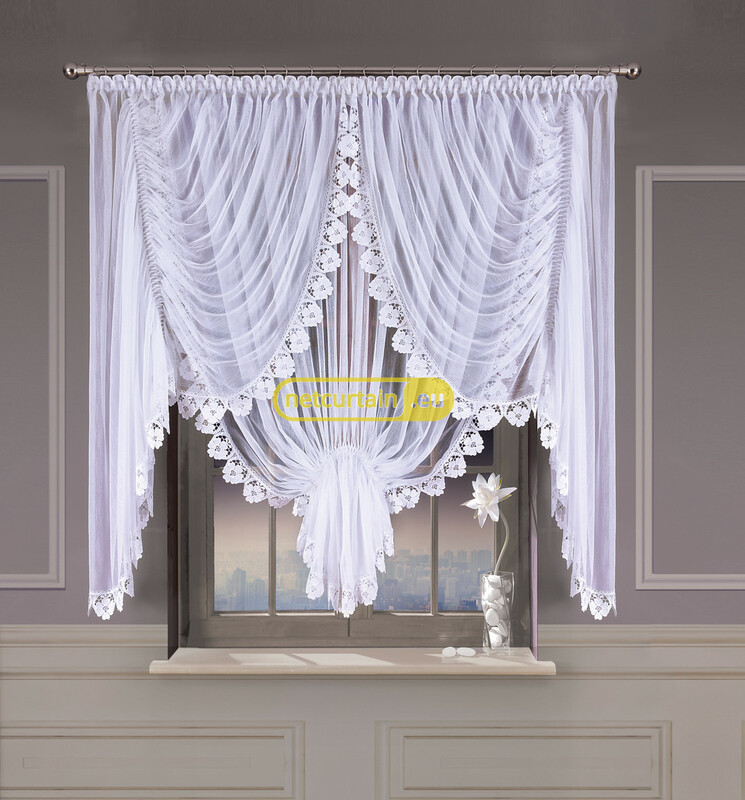 Veil net curtain in white or creamy, fasten up at both sides. Drapery in the middle and the whole with guipure binding. Usable width is 180 - 230 cm or 250 - 300 cm.